Yum! You'll want to make these for your Super Bowl party! While I am a fan of Super Bowl Sunday, I have to admit it has nothing to do with football, or commercials or the halftime show. The best part about the day? The food, of course! Though I’m not into the game itself, I am definitely down for snacks that are shaped like footballs or anything involving amazing appetizers. Of course, everyone has their favorites, which got us thinking: What is the most popular Super Bowl appetizer? To find out, we conducted a poll, asking Simplemost readers to vote for their favorite: nachos or chicken wings. While the results were pretty close (these are classics, after all), there was one clear winner. With 4,400 participants voting in this championship of appetizers, chicken wings came out on top, with a total of 2,300 votes. Nachos were not far behind, however, with an impressive 2,100 votes. Congrats to those of you who voted for wings! Now that we know what everyone is craving while they watch the game, let’s take a look at some recipes, tips, tricks and ideas for how to make awesome chicken wings for this year’s Super Bowl. It turns out that your votes reflected something the National Chicken Council already knew. 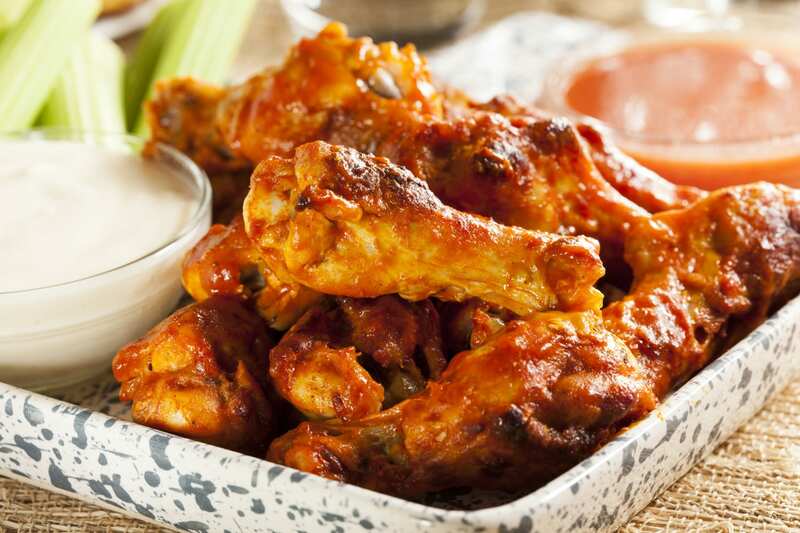 Americans love wings so much that the NCC is predicting that we’ll eat an historic amount of wings during Super Bowl LIII, a whopping 1.38 billion. That’s about 27 million more wings than last year, or an increase of about 2 percent. So, what’s the trick to making your wings worthy of a Super Bowl watch party? (We’re guessing that you already know the least messy way to eat them, so we’ll stick to tips for cooking them.) Kraft has a handy video that shows how to cut them properly before adding your sauce or seasoning. First, cut off off the tip of the wing, then find the soft spot. Once you’ve found it, cut it in half so you have a wing and drumette. Now that you’ve cut them correctly, it’s time to figure out the sauce or seasonings you’ll be using. The first thing to keep in mind is what flavor type you’d like, for example: sweet and tangy, spicy or herbalicious. If you like your wings with a bit of a punch, this sweet and tangy recipe from the NCC’s Chicken Roost might be for you. It uses cola, chili sauce and orange juice, along with spices that will make your wings pop with flavor. 2. Place wings in a single layer on a baking sheet. Bake for 25-30 minutes, or until wings are browned and crispy. 3. While the wings are roasting, combine pesto, red pepper flakes, lemon juice and lemon zest in a bowl large enough to hold all of the wings. 4. When wings are finished, pull them out of the oven and drop them into pesto mixture. Toss the wings in the mixture until they’re well coated. 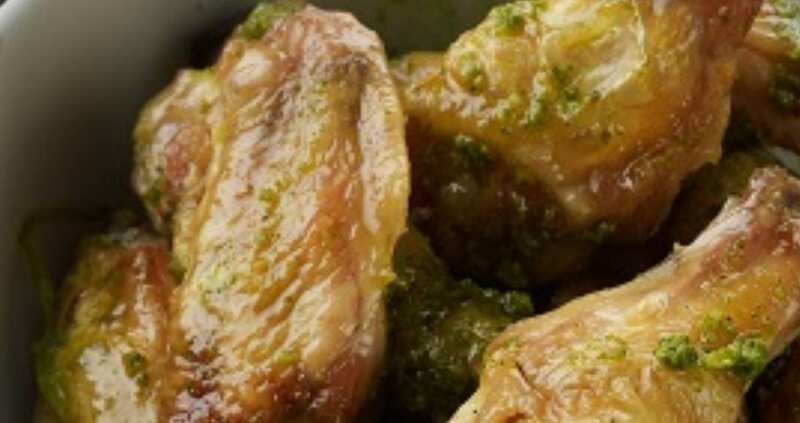 If you’re looking for something you can mix up and then walk away from, you might want to make chicken wings in your slow cooker. From honey mustard to teriyaki and, of course, buffalo flavoring, you can make pretty much any type of wings you want using this method. Here’s one more recipe I have to include, because sometimes keeping things simple is the tastiest solution. In my quest for great wings recipes, the most-reviewed chicken wings recipe I found comes from AllRecipes. No fancy sauces here — the only ingredients are olive oil and seasoning. The wings are baked, not fried, so they are also a bit healthier than some other recipes. 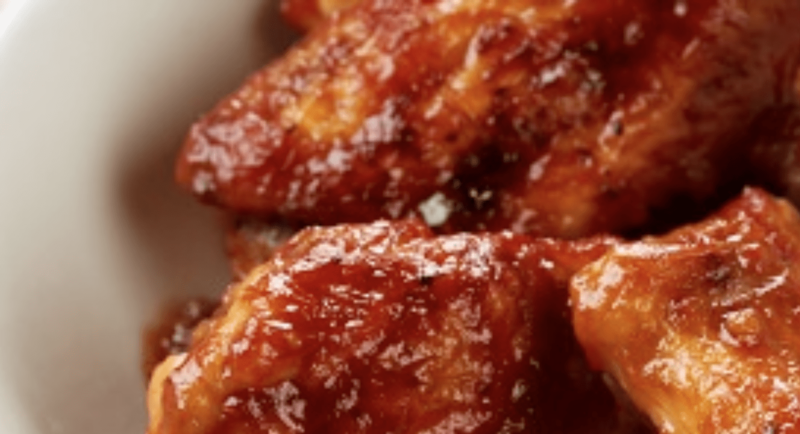 Do you agree that chicken wings are the ultimate Super Bowl appetizer? Will you be making some for this year’s game on Feb. 3?